Marine plants, such as seagrass and seaweed have natural antifouling defenses. Indeed, they have a unique surface texture consists of densely packed needle-like peaks and antifouling coatings and this may affect the ability of settling bacteria to attach. A recent study, affiliated with UNIST has gained sufficient attention among researchers for introducing a powerful antifouling material, inspired from marine plants. Published in the January 2019 issue of ACS Macro Letters, the new antifoulding material can prevent bacteria and other microorganisms from adhering to its surface. This breakthrough has been led by Professor Hoon-Eui Jeong in the School of Mechanical, Aerospace and Nuclear Engineering at UNIST. 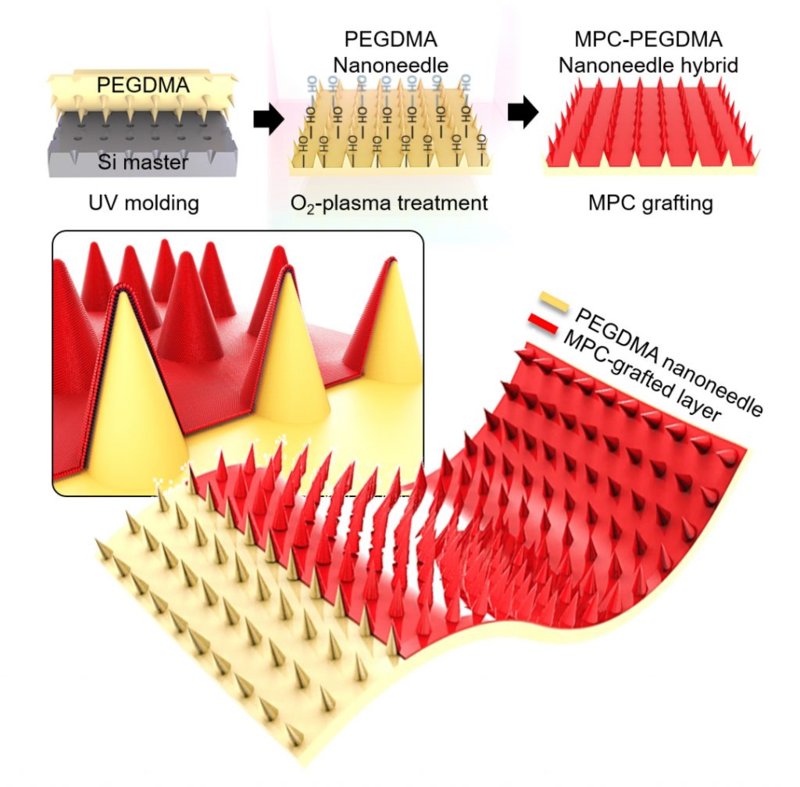 In the study, the team generated a myriad microstructure with numerous needle-like pillars using PEGDMA, a material that is firm and highly anti-fouling, and coated it with a thin layer of MPC, a hydrophilic material, to form a hydration layer similar to a film. An antifouling material prevents various contaminants from sticking to its surface. It is mainly used to prevent marine organisms from sticking to the surfaces of a ship or a marine facility that is in contact with water. 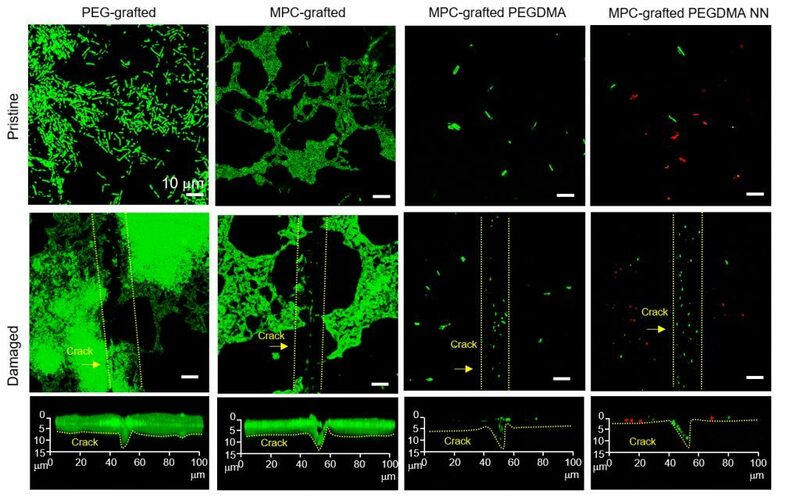 Recently, researchers have been developing techniques to inhibit absorption of waste materials in medical apparatuses such as artificial joints and dental implants or prevent the formation of biofilm inside home appliances such as humidifiers. In the past, antifouling treatment was carried out by applying a chemical substance to a surface. However, if the bacteria are resistant to chemicals or if the surface is scratched and damaged, the antifouling function was lost. In addition, the toxicity of the chemical itself has become a problem. As an alternative, there is a growing interest in mechanical antifouling, which creates fine projections in the length of nanometers (nm, 1 nm is one billionth of a meter) on the surface. Professor Jeong’s team plans to further study the microfine surface of seaweeds and other marine organisms to find a way to further strengthen the antifouling function. The fine surface technology can be applied to home appliances such as humidifiers as well as ships and marine equipment. The study was featured on the cover of in the January issue of ACS Macro Letters. 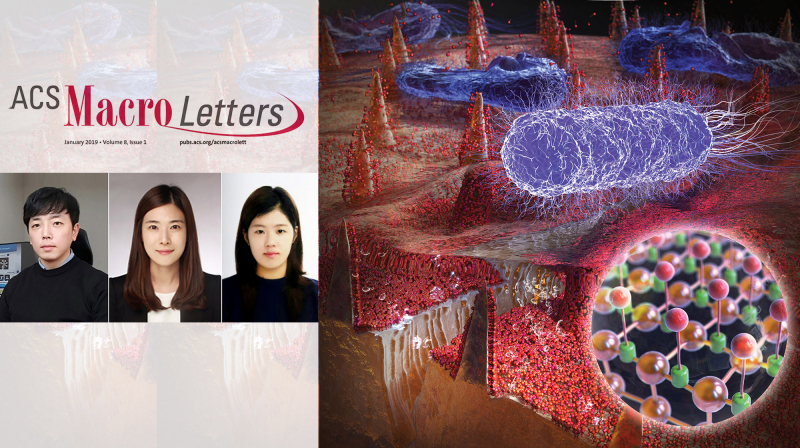 Hyun-Ha Park et al., “Lipid-Hydrogel-Nanostructure Hybrids as Robust Biofilm-Resistant Polymeric Materials”, ACS Macro Letters, (2019).